Spotted at Tokyo, Japan. 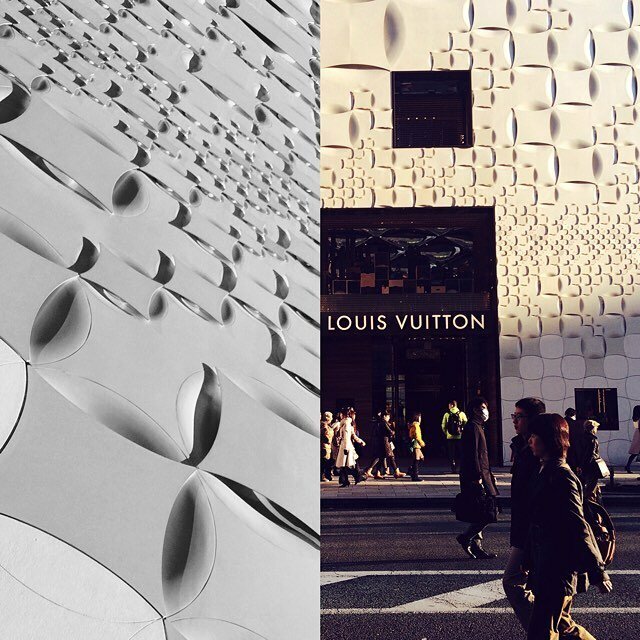 On the left is a closeup view of the store exterior design, and on the right is how it looks from far, interesting shapes that are further amplified by the shadows under the afternoon sun. What a sight! Lime Agency on Instagram: http://ift.tt/28JpEEe .